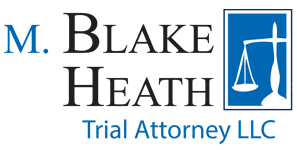 M. Blake Heath successfully obtained a $70,000.00 settlement for a young woman injured in a head-on collision. The injured victim was traveling northbound on Highway 69 near Antioch Road in Johnson County when the defendant driver crossed the median and struck the victim’s car head-on. The defendant driver told police he had fallen asleep and bumped into a car directly in front of him. The bump startled him and he lost control of his vehicle. At the scene of the incident, the victim did not report any pain. However, she later testified that the pain was there, but she was in such shock she did not inform the ambulance drivers or other medical professionals that treated her. The victim went to the emergency room where they discharged her without any significant injuries. A couple of days later, the victim complained of headaches. She also became nauseas and started vomiting. Her mother took her to the emergency room again where she was diagnosed with having a concussion. The victim was a freshman at Washburn University with a scholarship to play volleyball. The head injury resulted in her being sidelined from her freshman season. She also had difficulty studying due to the headaches but was able to achieve a 4.0. Based on his experience representing clients with traumatic brain injuries, M. Blake Heath recognized the need to properly document the head injury. The victim was sent to a neuropsychologist for evaluation, and the firm gathered witness statements from friends and family to discuss the differences in the victim’s personality. Because of the work and experience of counsel for the victim, the case settled for $70,000.00, which was seven times the amount of the medical bills of $9,352.